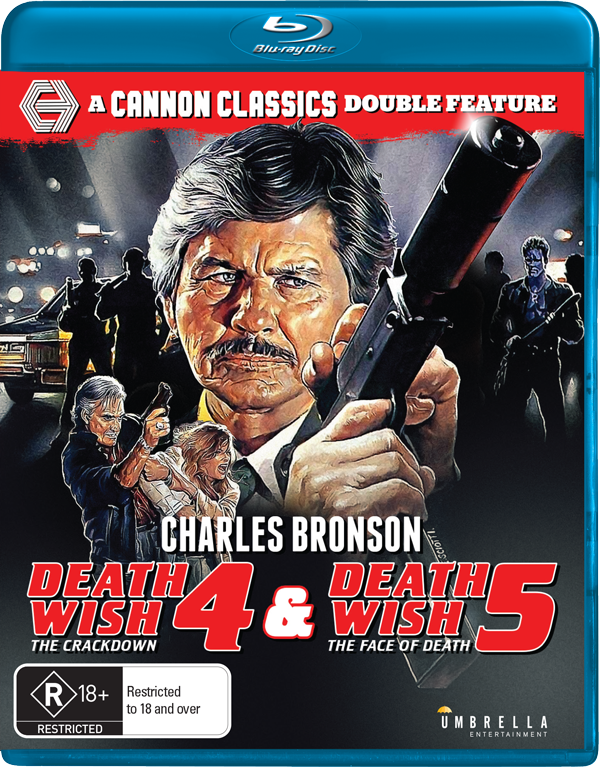 Due to popular demand, Umbrella Entertainment have answered the call from genre fans by releasing action sequels Death Wish 4: The Crackdown and Death Wish V: The Face of Death in a second Cannon Classics Double Feature on Blu-ray, echoing the monotone warning of our white-collar protagonist, “This ain’t ovah!”. Starring cinema’s most limited superstar Charles Bronson, the screen icon has since parted ways with way his long-time collaborator and director Michael Winner, with renowned workhorse filmmaker J. Lee Thompson (Cape Fear, The Guns of Navarone) stepping into the void for the third sequel in the explosive series. Architect and vigilante extraordinaire Paul Kersey is once again living in L.A. enjoying peace and prosperity in his legal profession, until his girlfriend’s teenage daughter tragically dies from cocaine overdose, prompting Kersey on his next crusade to clean up streets by laying waste to the city’s most prominent two gangs. Some cheap special effects that are hilariously obvious (Paper-Mache Danny Trejo) along with your usual police ineptitude and Charles Bronson’s performance, lends itself to much amusement as the body-count climbs. While this by-the-numbers follow up doesn’t offer much in the way of quality filmmaking, it’s entertaining and typical of the product regularly produced by Cannon Films. Much of the same can be said for Death Wish V: The Face of Death, which sees a return to New York City and Roman Numerals. However, famed character actor and Tarantino favourite Michael Parks almost steals the show from Bronson as Irish gangster Tommy O’Shea, the catalyst in Kersey’s final quest for vengeance following the death of his fiancée (how many is that now?) played by Lesley-Anne Down. Peculiar moments and equally peculiar characters make this closing chapter a stand-out among the previous three. It would be the last theatrical performance for Charles Bronson and his finals moments on screen are a fitting send off to the distinguish actor, who’s legacy should not be diminished by the standard of his later work. Sourced from their U.S. counterparts, both films look and sound terrific on Blu-ray and have been packaged together nicely in a consistent unformed release from Umbrella Entertainment. Unfortunately, bonus content isn’t as plentiful as Umbrella’s release of Death Wish II and Death Wish 3, but noted Charles Bronson biographer Paul Talbot is a bank of knowledge and within just minutes of listening to his detailed commentaries, you’ll be hooked! 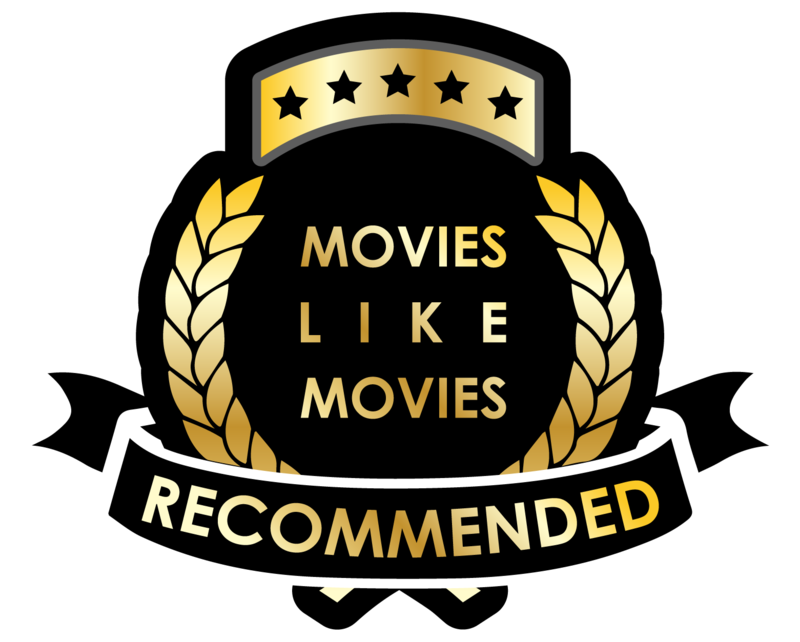 Death Wish 4 and Death Wish V are best enjoyed back-to-back and more importantly with a friend or significant other for ample jab throwing and just an overall fun home cinema experience. Note: Umbrella Entertainment have also released this film on DVD. Allan A. Goldstein, Charles Bronson, Death Wish, J. Lee Thompson, Kay Lenz, Lesley-Anne Down, Michael Parks, Umbrella Entertainment. Bookmark.